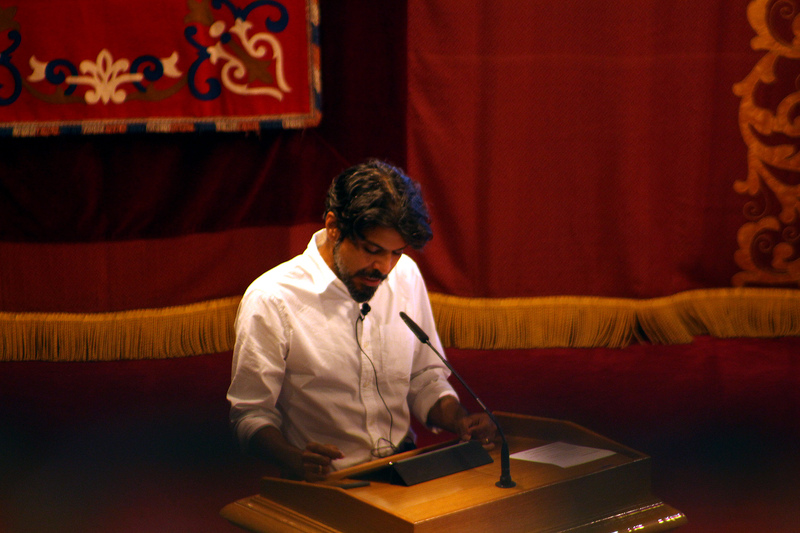 Pankaj Mishra is a well-known Indian author of literary and political essays. His address was entitled “Social and Political Fragmentation and the Role of the Jesuit University”. He started his speech by expressing his gratitude and saying that he felt very much at home because many members of his family had benefited from a Jesuit education. Mishra held that “the XVIII century Enlightenment, which provided the philosophical scaffolding for modern society, has run its course”. Individual reason and collective progress are no longer linked in the way they were before, and “history seems to have come full circle instead of marching forward”. In view of today’s calamities, it has become fashionable to blame religion, and particularly Islam, for all the evils of the modern era, but it would be more rewarding to analyse the idea of “a self-affirming, world-making, autonomous individual” and “its rapid descent to an either angry tribalism or equally bellicose forms of antinomian individualism”. It was Immanuel Kant who described Enlightenment as “man’s emergence from a self-imposed immaturity”. But now we need “a new beginning, or at least an emergence out of the self-imposed immaturity that makes us fetishize the old Enlightenment, and keeps us enthralled with words like: free market, liberalism, democracy, nation building”. Mishra invites us to abandon today’s faith in the imperative of expansion, growth, instrumental calculation, and property. We find ourselves in the midst of “a secularization that has appeared much like de-spiritualization, if not de-humanization”. Mishra posed the question of what then is to be done: “The alternatives are either a retreat to a fantasy of an ethnically pure community or another way of relating to the world, to all inanimate objects and living beings”. The author confesses that he has no prescriptions, only examples of those who in the last decades tried to put people in the centre of their thinking and endeavours: Gandhi, Martin Luther King, Vaclav Havel, Simone Weil and Jacques Maritain were some of the names mentioned in the address. People “who dared to question many obsolete and ineffective frameworks derived from the Age of Reason”. It might be true that the Enlightenment means man’s emergence from a self-imposed immaturity, “but it turns out that this task and obligation are never fulfilled, and have to be continuously renewed by every generation. That again is our task, and this time we have to do it globally”.